You might know them from a long time ago. Recently they have started popping up everywhere again. Meetings where people play with those tiny colourful plastic bricks again. Lego is back and making meetings more productive and more fun. How is this possible? How does this work? We’ve asked Anna Kogut to tell us more about this new addition to the Perspectivity toolbox: Lego Serious Play. Lego Serious Play does all kinds of wonders. It creates a 100% involvement guarantee, because it uses simple rules about talking to each other, which allows us to explore difficult topics and interpret their meaning together. Another advantage is that it makes intangible issues very tangible, just as concrete as red, blue and yellow bricks. Sometimes we find ourselves in meetings where people talk at length about difficult subject matters to make sure everybody understands exactly what is meant, only to find out afterwards that we misunderstood each other and have used up precious meeting time. Recognisable? 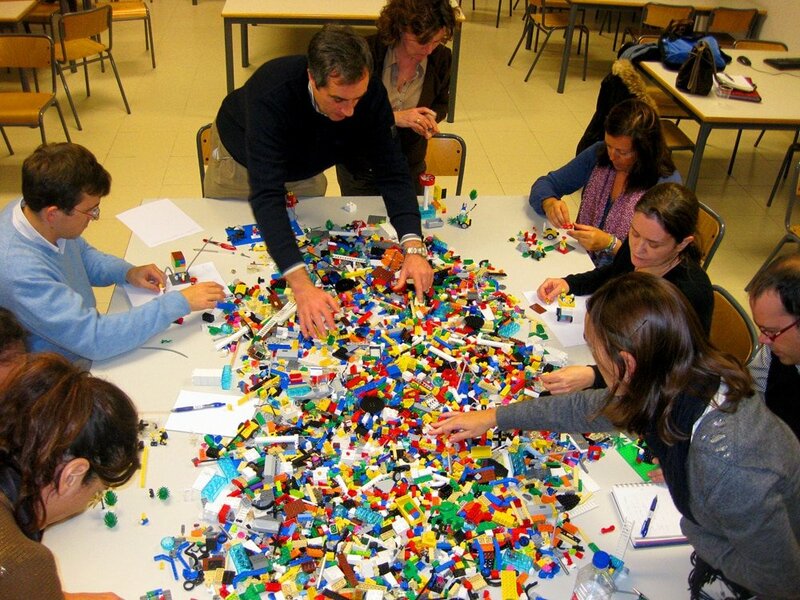 With Lego Serious Play we can make these complex and complicated issues visible and concrete. Quite useful in these complex times, no? This is done by making models out of Lego bricks and figurines, created by each person in the meeting room themselves. Because you can assemble and re-assemble, you can build concepts and frameworks and easily make a lego model of your vision, strategy, product or brand in a relatively short amount of time. Actually you can create anything! Constructing this together will greatly enhance common understanding of what you are working on and how the work is being done, in your team and in your organisation. Lego Serious Play clarifies different perspectives and uses these differences to make the whole concept of what you are building together clearer and stronger. It will have the contribution of all involved in it and it will serve as way to move forward, together. Special offer this fall: “Get To Know Lego!” A Lego Serious Play workshop for your team or organisation. Please contact Anna Kogut for more details. Book a session this October and November 2017 and receive a 30% discount!